Keeping our health as a priority this year starts from the inside out. You started 2016 with a clean slate, and have promised to practice healthy habits throughout the year. Now that a few months into the year have already passed, I want you to challenge yourself with the Nature Made 30-Day Program. I am trying to stay fit and healthy and I feel so much better taking my Nature Made Vitamins, Minerals and Supplements every day. My wellness goals include: walking at least 10,000 steps daily, doing yoga 2 times a week, limiting internet access to no more than 8 hours per day, including more veggies and fruit in my diet, drinking 8-10 glasses of water daily, getting at least 6-8 hours of sleep daily, and taking Nature Made® Chewable Vitamin C, B Complex, Calcium Magnesium Zinc and Vitamin D every day. 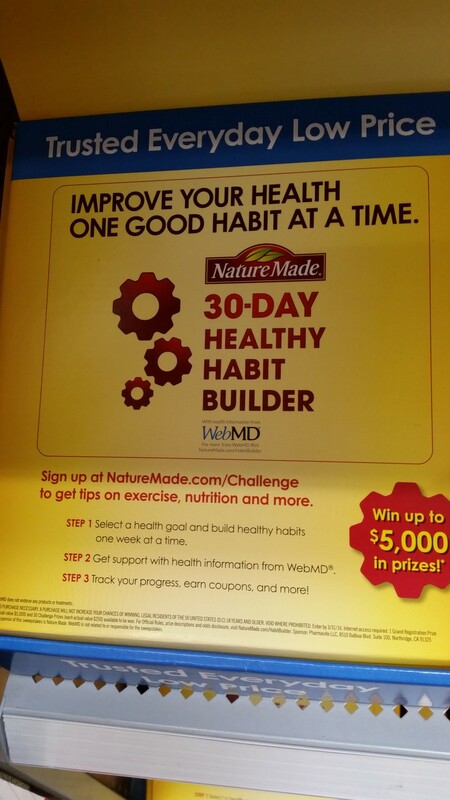 Nature Made has a 30 Day Healthy Habit Builder Program. Nature Made is the nation’s #1 best-selling brand for quality vitamins, minerals and supplements* to help support nutritional gaps. This 30-Day Healthy Habit Builder Program is at Walmart for your in-store experience. It is easy to set up your sharing information about the 30-Day Healthy Habit Builder Program. 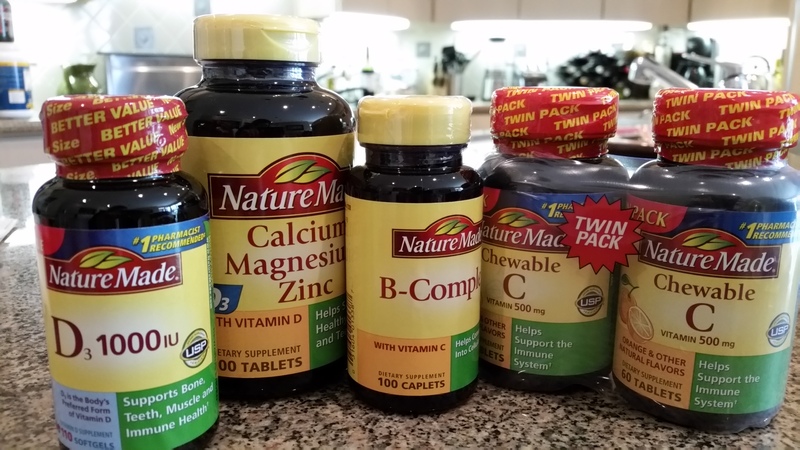 Nature Made® has put together a series of Daily Boosts. They’re not complicated, don’t take much time, and are an easy way to help you feel great. Enter your name and email at Wellness with Nature Made.com to access all of the Daily Boosts. Every other week, you will get fresh inspiration from Nature Made®. By participating, you can inspire your friends and the Daily Boost community. 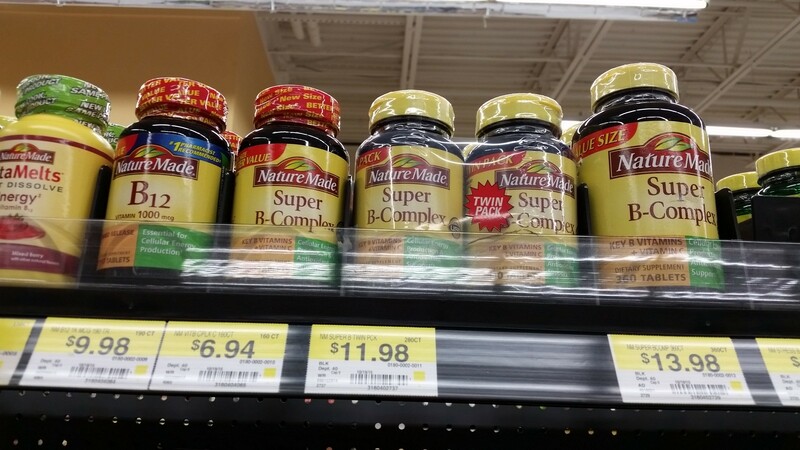 Start today by taking care of yourself with Nature Made Vitamins, Minerals and Supplements at an everyday low price, available at your local Walmart. 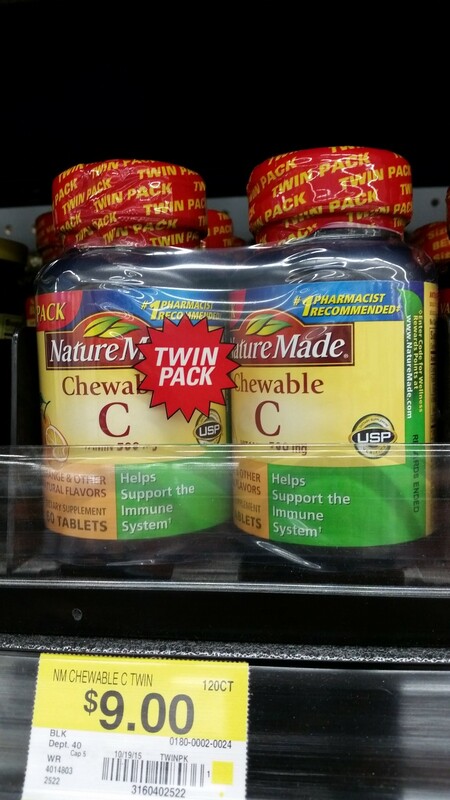 Great savings on a Double Pack of Vitamin C.
You don’t have to wait for the sales! 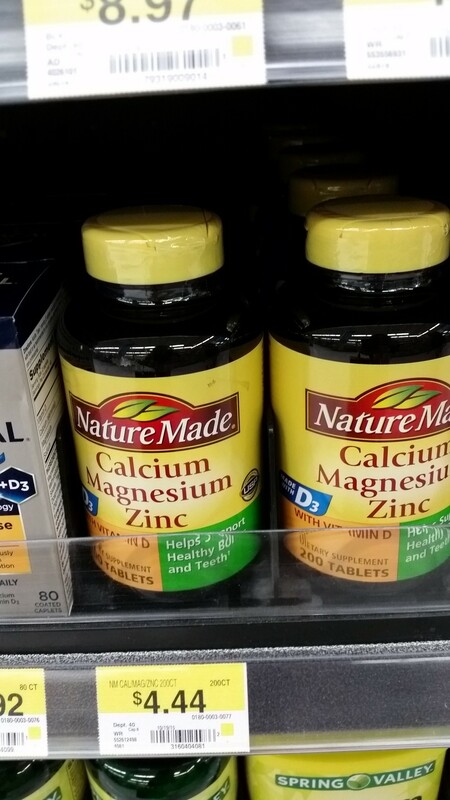 Calcium Magnesium is a bargain price. Make sure to sign up for the Nature Made 30 Day Healthy Habit Builder ~ Build better habits in three easy steps for heart, digestion, beauty and energy. Improve your health one good habit at a time. *Influence Central will randomly select 20 winners from all program entries and will handle fulfillment of the winning prizes. Click here to enter: Nature Made Wellness 3 You can win one of 20 $50 Walmart gift cards. How are you kick starting your goals and what habits do you want to develop during your 30-Day Program with Nature Made? You could win one of 20 $50 Walmart gift cards. Make sure to enter! Nature Made Wellness 3 Influence Central will randomly select 20 winners from all program entries and will handle fulfillment of the winning prizes. Don’t forget to also visit and sign up for the Nature Made Daily Boost program (http://www.wellnesswithnaturemade.com) for inspiration and information to further your health goals and to get a sneak peek at what other Nature Made fans are doing to stay healthy.